Other scientists have severely criticized He for engaging in the human gene altering experiments. 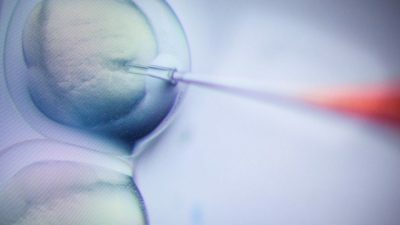 What He claims he did, to alter the DNA of human embryos, known as germ line gene editing, means the changes in those genes could be passed on and inherited by the next generations. Moreover, as several scientists involved in developing CRISPR have warned, He is in fact changing the human gene pool. “We may not be able to see the impact of this until several generations later,” said Dennis Lo Yuk-ming, chairman of Chinese University’s Department of Chemical Pathology. Esvelt’s computer gene drive simulations calculated that a resulting edited gene, “can spread to 99 percent of a population in as few as 10 generations, and persist for more than 200 generations.” Esvelt was discussing gene editing of mosquitoes. Now we are moving on to gene editing of human embryos. A group of European scientists strongly criticized the DARPA gene-editing Insect Allies project. They noted that no compelling reasons have been presented by DARPA for the use of insects as an uncontrolled means of dispersing synthetic viruses into the environment. Furthermore, they argue that the Insect Allies Program could be more easily used for biological warfare than for routine agricultural use. “It is very much easier to kill or sterilize a plant using gene editing than it is to make it herbicide or insect-resistant,” according to Guy Reeves.